THE IMPORTANCE OF LIVING AND MOVING WELL . . .The primary goal of care at Awaken Wellness Chiropractic is to get you on the road to recovery and inspire you on a path to wellness. We find the underlying cause of your symptoms and put you on a program to get you well. We address the whole body, understanding there is nothing more important than your getting healthy and staying healthy. The ability to move without pain, function better and heal faster are lifelong gifts for yourself and your family. OUR APPROACH IS DIFFERENT . . . our methods are unique; we often get results nobody else can. We specialize in the art of the newest, gentlest chiropractic techniques that are safer, more comfortable and more effective than ever before. We combine our gentle chiropractic care with soft tissue rehabilitation and vascular therapy for a more complete healing and more rapid recovery. We also offer nutritional and life style recommendations. Living well begins with making healthy choices. Take that step today & explore our website! Brisbane chiropractor, call 650-688-2020 today! "Awaken Wellness Chiropractic specializes in the use of gentle, specific chiropractic care plans to restore and rehabilitate muscle and joint dysfunction, improving neurological and vascular integrity and structural balance. 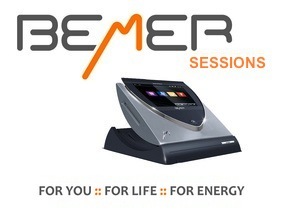 We provide a unique service - a combination of muscular rehabilitation techniques, BEMER sessions and the most safe and gentle chiropractic techniques that produce long-lasting, effective results." Our chiropractor and the rest of the friendly team at Awaken Wellness are dedicated to chiropractic solutions to target your unique needs, whether your goal is improving your overall health or addressing a health condition, such as peripheral neuropathy, back pain, hip pain, knee pain, ankle pain, foot pain, neck pain, headaches, shoulder pain, elbow pain, wrist pain, muscular tension, digestive issues, TMJ (jaw pain), and more. After suffering from an injury, such as a motor vehicle accident, fall, or repetitive injury you may need care to relieve pain and restore normal function. Many clients seek our assistance with a range of chronic conditions (peripheral neuropathy, low back pain, sciatica, headaches, posture, TMJ, plantar fasciitis, frozen shoulder, knee pain, carpal tunnel syndrome.) We have had much success treating these chronic conditions. Other clients just want to improve their overall health. Whether it's getting well and/or staying well, our chiropractor is here to help you achieve your wellness goals! Please visit the testimonials page to see what our patients are saying about our Brisbane chiropractor and getting regular chiropractic treatments. At your first visit to Awaken Wellness, Dr. Lorraine Sarullo will explain the science behind how chiropractic care works, and give you a full evaluation to see if our unique brand of chiropractic care is right for you. If there is a good fit, we can develop a plan of chiropractic care that is specific to your condition and health goals. If you are new to seeing a chiropractor and want to find out more, please email us or call 650-688-2020 to receive personalized answers to your questions from our friendly team. We also welcome referrals, so we invite you to share our chiropractic and wellness information with your friends and loved ones. Lorraine Sarullo uses chiropractic care to improve the health and wellness in all areas of patient's lives, whether they are having problems with back pain or neck pain, or just want to start feeling better when they wake up in the morning. Dr. Sarullo takes a 'whole person' approach in chiropractic care, which means looking for the underlying causes of disease, discomfort, and pain, as opposed to just treating the symptoms. Many seemingly unrelated symptoms often arise from imbalances in the spinal column, and Dr. Sarullo will be able to determine the root of the pain and create a personalized chiropractic and wellness plan to suit each patient's individual needs. Under the supervision and care of our caring and skilled chiropractor, patients report higher functioning in all areas of their lives. 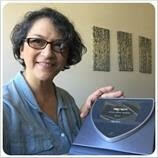 "Dr. lorraine has changed the way I feel. Her style of chiropractic medicine is just what my old tired muscles needed. She was very effective in getting me through my post op knee replacement treatment. I cannot imagine not having her as a part of my health care plan."